The Supervisory Board of MAN Truck & Bus AG has appointed Joachim Drees as Chief Executive Officer (CEO) of the Munich commercial vehicle manufacturer. Mr. Drees (50) will assume executive responsibility from Anders Nielsen on April 1, 2015, who will be responsible for Business Development in the commercial vehicles division at Volkswagen AG in future. In addition, the Supervisory Board has decided to extend the contract of 50-year-old Heinz Jürgen Löw as Director of Sales & Marketing until 2021. Until recently, Joachim Drees was Chief Financial Officer of Drees & Sommer AG, Stuttgart. He was previously partner in a British investment company in London. After studying at the University of Stuttgart and Portland State University, he worked as a manager with the Daimler Truck Group and Mercedes-Benz Trucks. 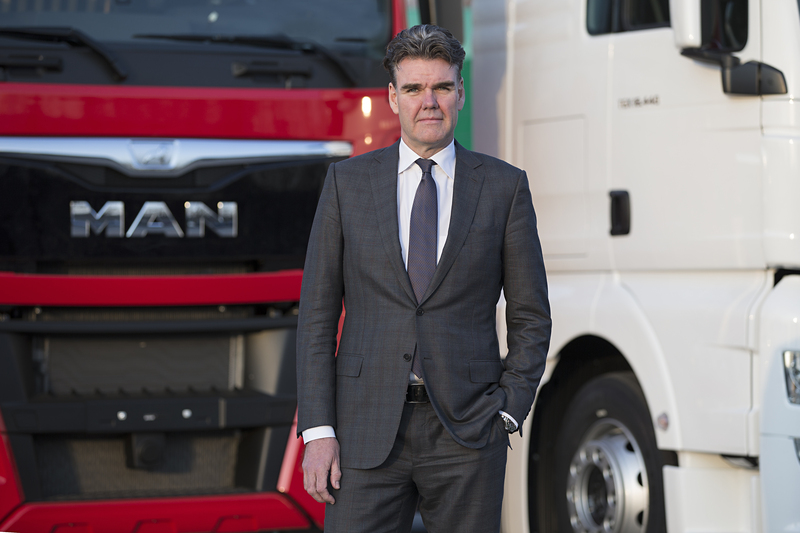 As of April 1, 2015 he will be CEO of MAN Truck & Bus AG, the largest company of the MAN Group with a revenue of around €8.4 billion and 36,500 employees. Anders Nielsen, Chief Executive Officer at MAN Truck & Bus AG since September 1, 2012, will be switching to Volkswagen AG, the parent company of the MAN Group, on April 1, 2015. He will be building up and heading the Business Development department in the commercial vehicles division. In this role, he will be reporting to Andreas Renschler, Board of Management member for Commercial Vehicles at Volkswagen AG. “The Supervisory Board thanks Anders Nielsen for his excellent work at MAN. He can now incorporate his years of expertise in the commercial vehicle industry in his new overarching areas of responsibility. The Supervisory Board wishes him all the best of success,” said Rupert Stadler, Chairman of the Supervisory Board, Chief Executive Officer of AUDI AG, and member of the Board of Management of Volkswagen AG.